This course is about Chicago, We will cover the history of the city and region, the politics, corruption, arts, plans, neighborhoods, humor, achievements and the future of the City. This course will be about Chicago. We will cover the history of the city and region, the politics, the corruption, the arts, the plans, and the achievements of the City. We will discuss current events. And we will relate the development of Chicago with other cities. Make no little plans. They have no magic to stir men's blood and probably themselves will not be realized. Make big plans; aim high in hope and work, remembering that a noble, logical diagram once recorded will never die, but long after we are gone will be a living thing, asserting itself with ever-growing insistency. Remember that our sons and grandsons are going to do things that would stagger us. Let your watchword be order and your beacon beauty. Think big. 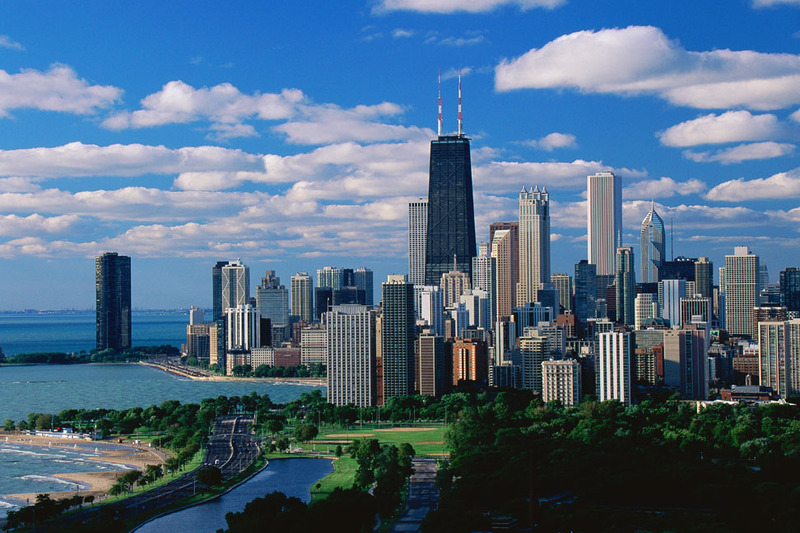 Chicago is the 6th most influential city in the world according to a recent study. Chicago followed New York, London, Tokyo, Paris and Hong Kong. The ranking shows the influence a city has beyond its own borders. "The Windy City" is one of the most well-known nicknames for Chicago. While there might be various reasons for the nickname, the windy weather that is so common in Chicago is the first thing that comes to mind. Step out onto streets of Chicago any time of the year and you will experience the wind firsthand. "Second City" is another one of the most recognized nicknames for Chicago. One thing this nickname refers to is how much of the city was rebuilt after a significant section of the city was destroyed by the Great Chicago Fire in the late 1800s. Today, Chicago also has a popular comedy troupe by the name of Second City. "Chi-Town" or "Chitown" is one of the most affectionate nicknames for Chicago. This nickname takes the beginning of name of Chicago and adds the companionable ending of town to form a well-used nickname. "Chicagoland" is one of the nicknames for Chicago that refers not only to Chicago but its metropolitan area as well. When speaking about the city of Chicago along with its surrounding suburbs, this is a suitable nickname to use. 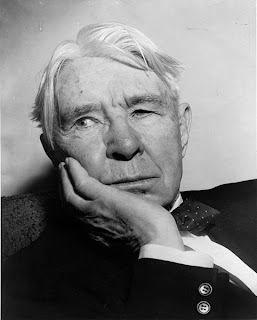 "City of Big Shoulders" from the Carl Sandburg poem about Chicago. 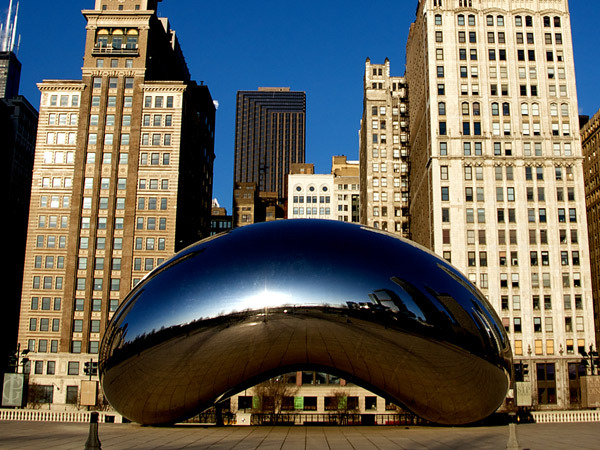 "The Big Onion" is one of the lesser known nicknames for Chicago. This nickname is similar to the nickname of "The Big Apple" for New York. 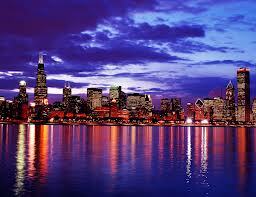 "My Kind of Town" is one of the nicknames for Chicago that was popularized by Frank Sinatra. You probably can't read the nickname without singing it in your head or maybe even out loud due to the widely recognized lyrics. "That Toddling Town" is another one of the nicknames for Chicago that Frank Sinatra helped make popular through his music. "Heart of America" is one of the nicknames for Chicago that refers to Chicago's location in the middle of the United States as well as being a transportation hub for the country. Chicago's geography resulted from the action of large glaciers during the Ice Age which created Lake Michigan. The Chicago region is a flat plain that was the bottom of the ancestral Lake Chicago. The Glacier over Lake Michigan was approximately one mile high. It formed a very large river valley along the Des Plaines and Illinois Rivers when it melted. At one point the Glacier blocked the Mississippi River and the Chicago / Desplaines/ Illinois Rivers drained the melting waters of the Glacier, resulting in a very wide river valley. The highest point within the city limits is in the Beverly neighborhood. This ridge was called Blue Island because it looked like an island set in the prairie. When Chicago was founded the land was a swamp. It took a major effort to raise the grade of buildable areas and create storm and sanitary sewers to drain the region. A very large limestone quarry has been excavated south of the city in Thornton. The Thornton quarry was a coral reef when the area was covered by a sea many millions of years ago. A secondary school revision resource for GCSE Geography on the topic of glaciallandscapes and processes, glacial deposition and erosion. This course will be about Chicago. We will cover the history of the city and region, the politics, the corruption, the arts, the plans, and the achievements of the City. We will discuss current events. In Greek mythology, the Pierian Spring of Macedonia was sacred to the Muses. As the metaphorical source of knowledge of art and science, it was popularized by a couplet in Alexander Pope's poem "An Essay on Criticism" (1709): "A little learning is a dang'rous thing;/Drink deep, or taste not the Pierian spring." Craig Hullinger is a City Planner from Chicago. He lived and worked in the Chicago region most of his career. He is a former member the American Institute of Certified Planners and a retired Marine Colonel.